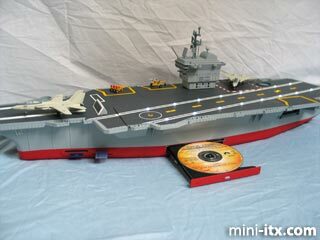 USS Enterprise CVN-65. 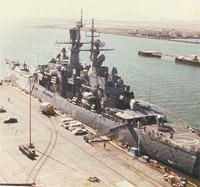 It's the Navy's showboat and has been featured in movies like Star Trek IV even when it's actually the USS Ranger. Public relations video and audio remind me that the military is a life-changing experience, to be certain. Some of that is documented in King Paul's mooj. I was in #1plant, but here's a site chronicling the lives of #2plant losers; I actually recognize these faces. My favorite port of call was Thailand because I loved the curvey letters in their alphabet. My second favorite was Rio de Janeiro, Brazil where I went white water rafting. My least favorite port of call was Singapore, because it was Christmas Day and there was nothing to do, and besides, I smashed my thumb just before going ashore. Bummer.